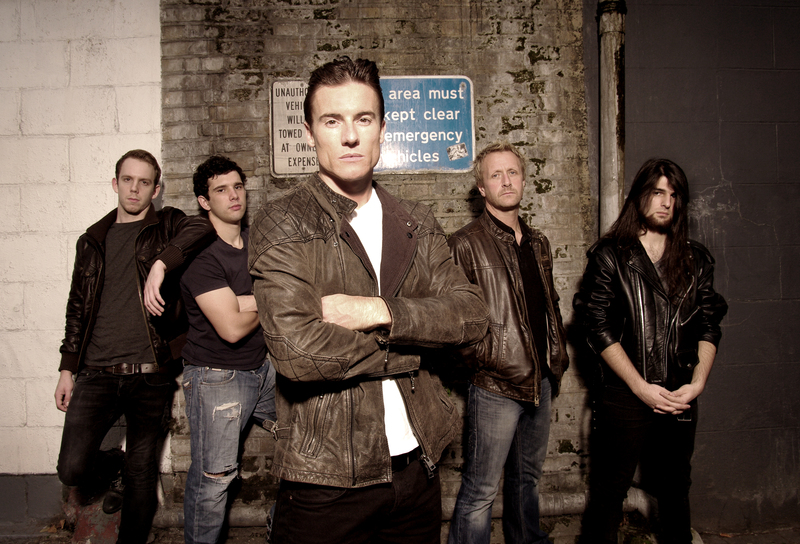 Former motorbike champion James Toseland roars back to Wolverhampton Slade Rooms as a fully fledged rock star on September 28. With his band, Toseland, the 33-year-old has supported the likes of Status Quo, Reef and Sebastian Bach as well as headlining shows across the UK. After twice winning the Superbike World Championship James retired from racing in 2011 following an injury during testing. I spoke to James at the London home he shares with his wife, singer/ songwriter Katie Melua. I was really looking forward to that one. I know that when you support it's always a tricky situation, going in front of someone else's audience, but one of the strongest gig we had on our last tour was at the Slade Rooms in Wolverhampton. With the popularity of rock music in the Midlands, and with the support of Planet Rock, we nearly sold out the Slade Rooms which was amazing. To go into the Civic Hall and get that reaction from the Quo's audience – it was a really good night! 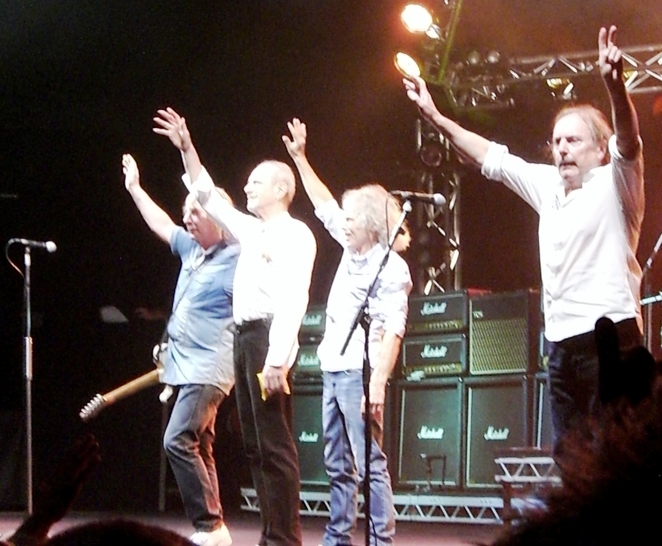 It was a historic tour for Status Quo, their last with the reformed line-up. I grew up listening to Quo and to be on the tour with the original line-up was a great honour. Every venue was absolutely packed. 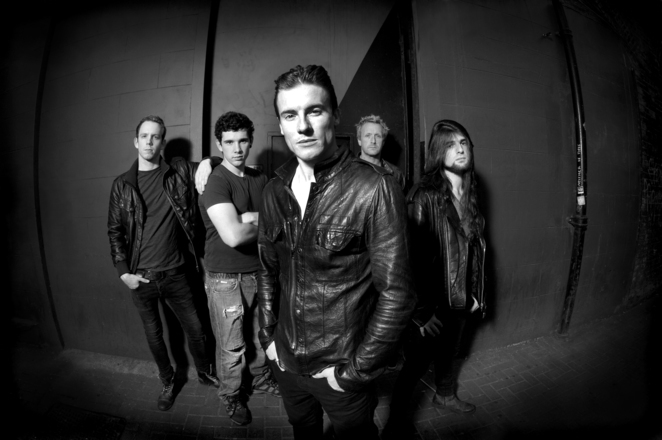 And you're now supporting the current Quo line-up on August 15. We're at Cumber Park with them. It's such a cracking gig. It's kind of clap and stamp your feet through the whole gig – and they still put such a good show on. Your debut album, Renegade, is now out. 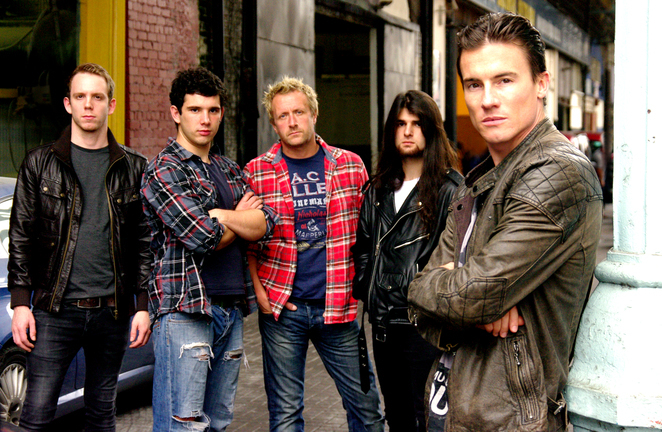 What was it like working with producer Toby Jepson who used to be in Little Angels? Me and Toby sat down at his house in Scarborough for eight months writing the whole album and he has been absolutely fundamental to the music and the sound that we created. I wanted to write a rock album and a friend of mine introduced me to Toby. Fortunately for me I found exactly what I was wanting to create with Toby. We worked really well together. I've been back in Scarborough over the last couple of weeks and we've got some really good tracks coming together. We're going to do it a little bit different to the first album. We'll sketch out some rough demos then develop them with the band in the rehearsal room. With the first album Toby and I finished off the songs then got the band round the music. We're trying to make it a bit more of a band situation now. We're planning to play two new tracks on the tour. Do you get any musical input from Katie? Do you have any input into her music? No. I'm a keyboard player and her main instrument is guitar. If she's just jamming through something and she wants some keys just to see what the variants are we'll sit down together but not very often. She has her way of working and I have mine. When it comes to music we just leave each other to it really. Katie's brother, Zurab, is in your band. How's that working out? Great – he was the person that got the band around the music I'd done with Toby. When I was dating Katie I went to the in-laws' house and I heard this young lad practising in his bedroom and I realised just what a talent he was. He was only 19 at that point. I gave him the demos we'd been doing and told him we needed a lead guitarist. He listened to them and loved them. He was at the Academy of Contemporary Music College in Guildford so I asked him to find another three or four guys with the same talent as he had that could form a band and be ready to go. The first one was Queen then I went on to Guns N'Roses, Aerosmith, Bon Jovi and all the great big American rock bands and Classic Rock. That's the music you hear at motorcycling events, I think that's where I got the love for it. I presume Katie's got different musical tastes. She hasn't, she's a rocker – Judas Priest, Black Sabbath, that's what she was brought up on. That's why her brother has longer hair than her and was a Thrash Metal player originally. They were brought up in Georgia and Belfast on proper Metal. But when we're chilling out she loves Joni Mitchell and Dylan, all the songwriter music that Katie plays. It was obviously a huge setback when you had to quit motorcycle racing but did music help soften the blow? Yeah, completely. I was a musician first, then got into motorcycling through my mum's new boyfriend. I always had music in my life, and it was really fundamental to me, and when I had to retire I knew it was the only thing I wanted to do. I'd wanted to give music this kind of a shot first off, this was my career path before my mum's new boyfriend came along. It feels so nice that it's at the stage that it's at and things are happening for the band. But you're still involved with motorsport. I'm presenting the Moto GP show for BT Sport. And I'm going to be breaking the land speed record in September next year in Bonneville Salt Flats, near Salt Lake City. The record is 376mph and I'm trying to be the first person to go over 400 mph so that's pretty exciting. The family and the missus don't know too much about it! When I lost the opportunity of riding at the top flight of motorcycle racing this came along and gave me the opportunity to be the world's best at something. That's where the appeal came from. I've not thought too much about it because it is a little bit hairy. Where do you get the biggest buzz – music or motorbikes? I really like the buzz before a show because it's similar to that before a race. That feeling of nervous anticipation is really exciting for me even though the nerves can be a bit off-putting sometimes. But I never get too nervous that I'm not looking forward to it. Other than that, racing was 200mph and very dangerous so the intensity of motorcycle racing is greater than being on stage but winning over an audience that's staring right at you is more daunting than flying past everyone that you can't see at 200mph. Oct 8: 100 Club, London.